Today my guest is Robert Keifer. Robert has extensive experience in gluten free brewing and is presenting on the topic at this year’s Homebrewcon in Portland. He has written a number of articles on gluten free brewing here. Robert also references the Gluten Free Brewing site here if you want to learn more about gluten free brewing. We start with a discussion about what gluten is and why some people are sensitive to it. Robert explains the use of enzymes to reduce gluten in regular beer (Clarity ferm and Clarex) and how this can be a viable option for some homebrewers depending on how sensitive you are to gluten. We discuss the common grains you can’t use (barley, wheat) as well as what alternatives are used for gluten free brewing, as well as where an average homebrewer can source these grains. He talks about the use of specialty grains, and how there are many gluten free specialty grains available for brewers. We discuss additional steps you may need to take in the mash to help the grains convert properly and also maintain body in the beer. Robert tells us about flavor and body issues he runs into when working with gluten free grains including astringency and a thin body. We talk about fermentation and some of the challenges in fermentation including the fact that many gluten free grains will attenuate to a much higher degree than barley leaving a low finishing gravity. We discuss head retention and body issues and what can be done to mitigate it. Robert tells us a bit about how people react to his gluten free beers. 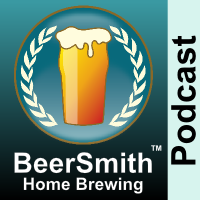 We discuss gluten free craft brewing as well as some of Roberts top tips for gluten free brewing.